One of the nice features in my Nodality application is a little widget for editing the points of a tone curve. A tone curve changes the luminosity of an image for a given tonal range. 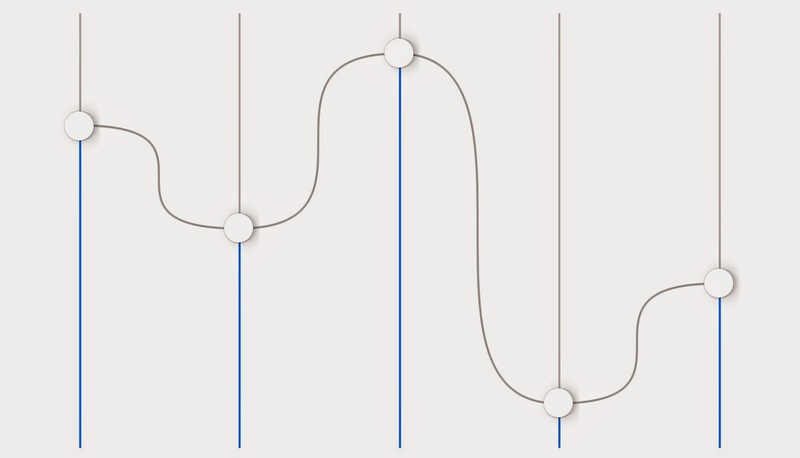 For example, increasing the value the leftmost point on the curve makes shadows brighter and, conversely, decreasing the value of the rightmost point makes highlights darker. The CIToneCurve filter is part of CoreImage and accepts five points that form the curve. This blog post looks at creating a Swift application that allows a user to load an image and edit the tone curve of that image using five vertical sliders. I've built the application with two main controls - a ToneCurveEditor which contains the vertical sliders and an ImageWidget which loads and displays an image and applies the filter to it. The main ViewController hosts them both. Now, when my device is rotated, the user interface smoothly segues between the two layouts. The ToneCurveEditor contains five sliders that set the tone curve values and an extended CALayer, ToneCurveEditorCurveLayer, which renders a curve joining the values. I could manually create each slider, but its far better to create them in a loop. This reduces code replication and if, for example, CIToneCurve changes in the future to support more curve points, all I'd have to do is change the upper bound of the loop to create more sliders. Down in the ToneCurveEditorCurveLayer, I've overridden drawInContext() to draw a set of Bezier curves to link the points together. The best way of doing this would be with a Catmull Rom spline, but I ran out of time to implement this and I do it with a series of curves which look slightly nicer than a set of straight lines. Stop Press: Now updated with a Hermite Spline, see this blog post for more information. The ImageWidget contains a UIButton, which allows the user to load and image, and a UIImageView which displays the image. When the button is clicked, it uses an injected reference to its parent view controller to invoke presentViewController() with a UIImagePickerController. Because ImageWidget implements the UIImagePickerControllerDelegate protocol, once the user has selected an image, imagePickerController() is invoked. In a production application, you could use this smaller proxy during interaction and swap out for the raw image for a final render. Both the CIContext and the CIFilter are instance constants which only need be instantiated once and can then be reused, so I pass them into applyFilter(). The combination of using a proxy image and doing the filtering in the background make the application very smooth and responsive. And that's about that. As always, the source code is available in myGitHub repository, enjoy!